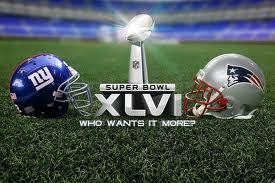 Personally, I do not care for the New York Giants or the New England Patriots. But if I had to choose, I’d say the New York Giants. I’m still waiting for the New Orleans Saints to get back into the Superbowl.